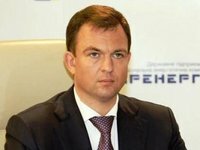 National energy company Ukrenergo would not halt supplies of electricity to the temporarily Ukraine uncontrolled areas in Donetsk region until construction of a new power line to Avdiyivka is finished, acting Ukrenergo Director Vsevolod Kovalchuk has said. "As for Donetsk region, now the decision to stop powers supplies has not been made, as the issue with Avdiyivka has not been settled. In the near term construction of the new section of the 110 kV power line will be finished by DTEK Power Grid that would be a new source for power in Avdiyivka. Then the issue to continue power supplies to separate districts of Donetsk regions will be raised," he said.